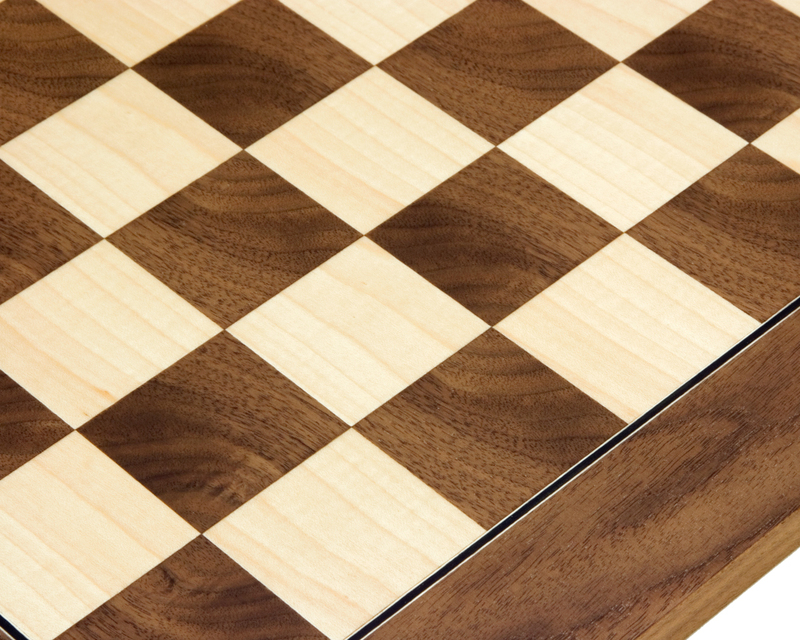 17.75 inch deluxe quality chess board produced by established chess board maker Rechapados Ferrer S.A. of Spain. 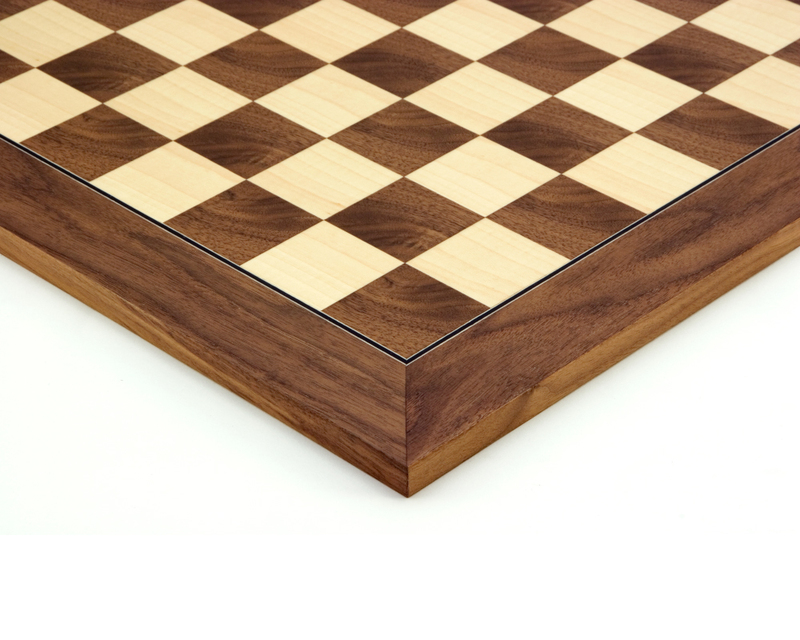 This board combines the highly popular Walnut wood veneer, which as a rich dark colour and has a deeply toned detailed grain with beautiful light Maple veneer. The board is constructed to exacting dimensions with clean lines and has that pristine modern look that will co-ordinate with modern interior design. 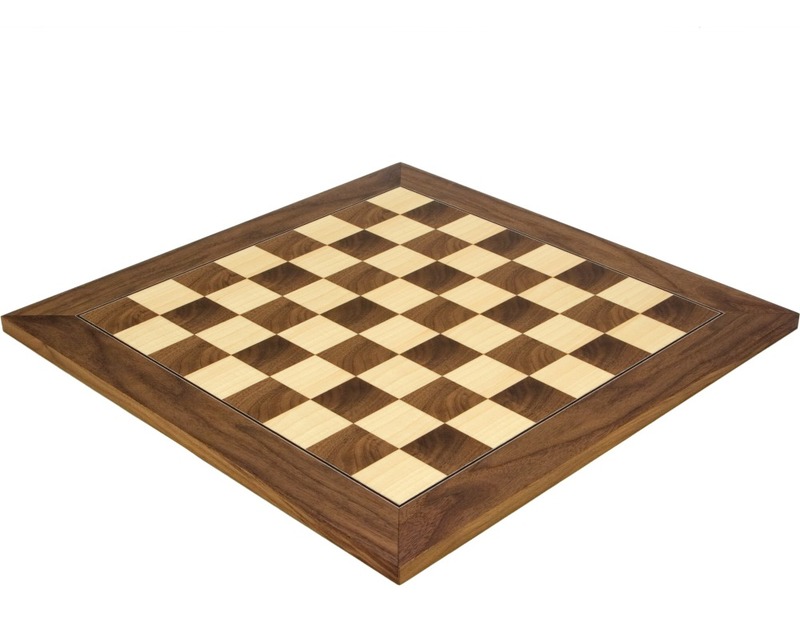 Perfect for accompanying with chess pieces of 3.25 inches in height (king).